In the section editor, clear the “Name:” text box in the “Section Information” section. Navigate to the section you want to change the “Content Display Order” for. 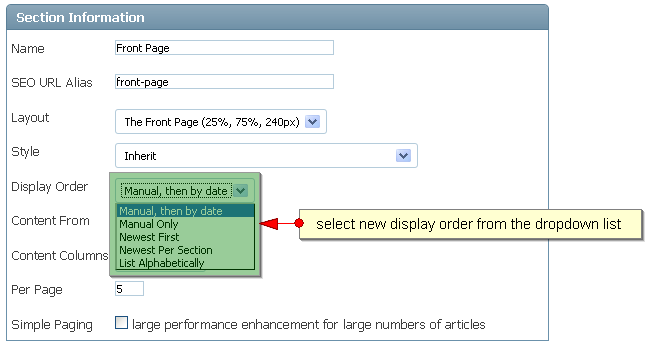 In the section editor, select the option you desire from the “Display Order” dropdown list found in the “Section Information” section of the form. 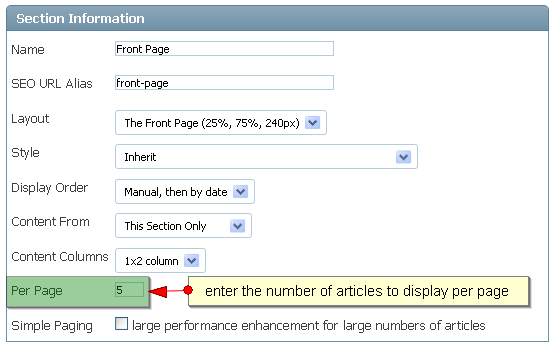 In the section editor, enter the number of articles you wish to display in the “Per Page” textbox. In the section editor, select a new layout from the “Section Layout” dropdown list. 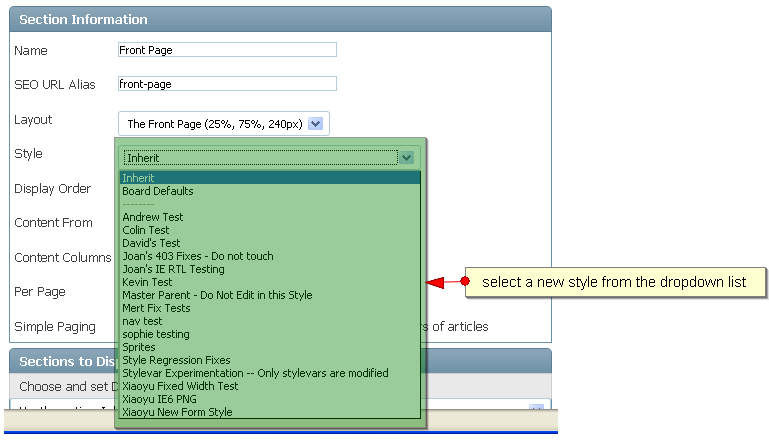 In the section editor, select a new style from the “Style” dropdown list. 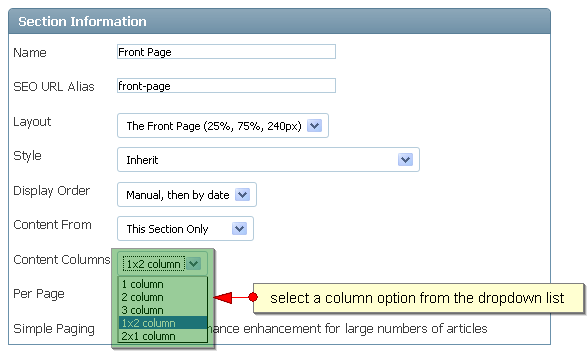 In the section editor, select the content layout you want from the “Content Layout” dropdown list.